Professional carpet cleaners can mean the difference between continuing to proudly display your original carpet and having to buy a new one. Their skills help many homeowners preserve the original carpet quality, even when they are faced with pets, red wine, children, dirt, and other hazards that are known to cause carpet stains. It is normal to have questions when hiring a carpet cleaning service, especially when hiring one for the first time. One of the first questions is safety. Many homes have children and pets and many homeowners worry about the use of harsh chemicals around them. Families are concerned about safety for many reasons. Some are very health and environmentally conscious. They do not want to introduce damaging chemicals into their homes. Others worry about health problems, like asthma, that can be aggravated by fumes. Families with young children worry about the small children sitting or crawling on the carpet and then sticking things in their mouths. Those who have pets such as dogs or cats do not want them to ingest any harmful ingredients. When you prepare to find a carpet cleaning company, therefore, it is important to inquire about the ingredients of the cleaners they use. There are safe solvents and biodegradable options available, so do not be afraid to speak up. 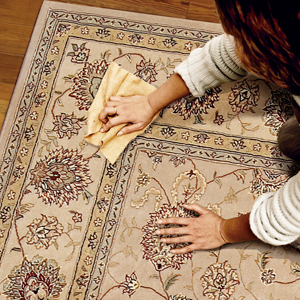 Also, a quality steam cleaning treatment can do wonders for lifting stains out of carpets and rugs. When done with professional grade machines, you may not even recognize your old, dirty carpet! Finding a carpet cleaning company that takes these concerns seriously is crucial. However, you also want to be sure that they come with the experience, quality, and recommendations of an experienced cleaning crew. Those who are not familiar with the intricacies of different types of carpets could easily end up doing more harm then good. Fortunately, High Quality Carpet is right around the corner for those located in Basking Ridge, New Jersey and the surrounding region. They offer expert carpet cleaning while using only safe cleaning agents that will not harm children or pets. When High Quality Carpet arrives to clean your carpet, you can be sure that they will plan their cleaning strategy with your family’s safety in mind. One of their popular, proven cleaning methods involves a high pressure, intense heat and extraction system. This system relies purely on pressure and hot water to make your carpets look like new. When their cleaning strategy does involve the use of chemicals, they will use only solvents that have been proven safe, are made with biodegradable ingredients, and will be sure to remove all cleaning agents from the fibers before leaving. High Quality Carpet also comes with the experience of fourteen years spent restoring even the most unsightly carpets. They are certified by the IICRC and promise a 100% guarantee. If you are not satisfied with the work they do, they will return again without charge. There is really nothing left to lose besides carpet stains and grime! So give them a call or visit their website at www.highqualitycarpet.com to see how they may be able to help you.